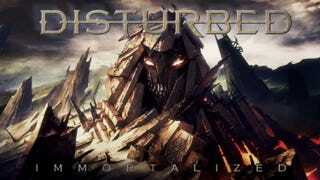 Disturbed, my favorite band (and namesake), released their new album today. They spent the past few years on hiatus, but now they’re back with some killer new music. I think it’s one of the best albums I’ve heard this year. They’re just one of those bands that always finds a way to remind me why they’re my favorite. So, let’s get to some topics. Since I just answered this question again myself, what’s the origin of your Kinja handle? And, since we’re talking music, what’s your favorite music release of this year so far? If you don’t feel like sharing, or don’t care for music, then feel free to Talk Amongst Yourselves about whatever you like!